Oh my… London was incredibly intensive and exciting! Even more so because the flight from NY to London was only six hours and therefore we had a rather short night to both process all the impressions from NY and get some sleep. 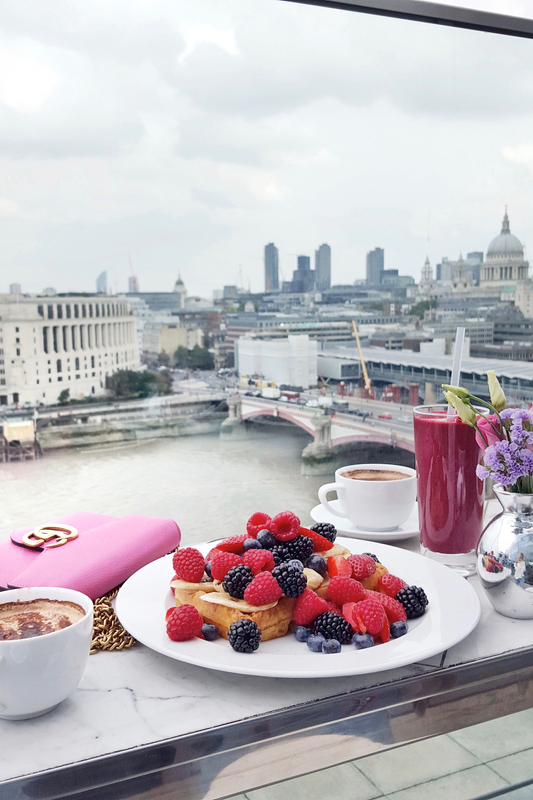 Thus and because of the time difference, with little sleep we immediately upon arrival in London started into a new day with lots on the agenda. We spent the first two days with Seat and Cosmopolitan (you can find more on these days: here). Afterwards we attended a marathon of events, fittings and shows. Fortunately, Mark & Spencers provided a car plus driver for two days and the car even had my logo on it (how amazing is that?) – that helped getting from A to B in time immensely. Traffic in London was insane so I couldn’t have been more thankful for the shuttle service. Another highlight was the Mondrian London, where I stayed during the fashion week. I have rarely experienced such hospitality and the moment I stepped into my room, I felt at home and at ease. Since London was so crammed with events, we rarely left the room in our free time. We loved being able to order our breakfast as room service. I truly had an amazing time and I hope that I will be able to stay at the Mondrian again soon! 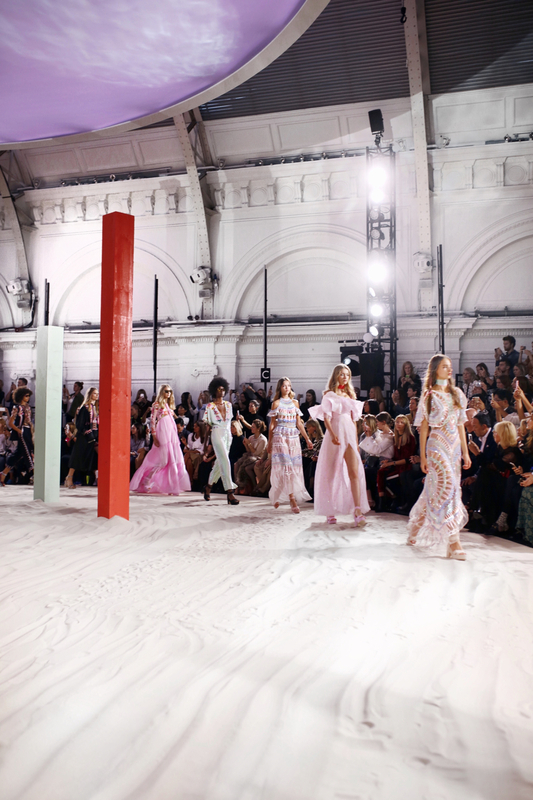 One of the most exciting experiences during London Fashion Week was attending the Temperley show with Moda Operandi. 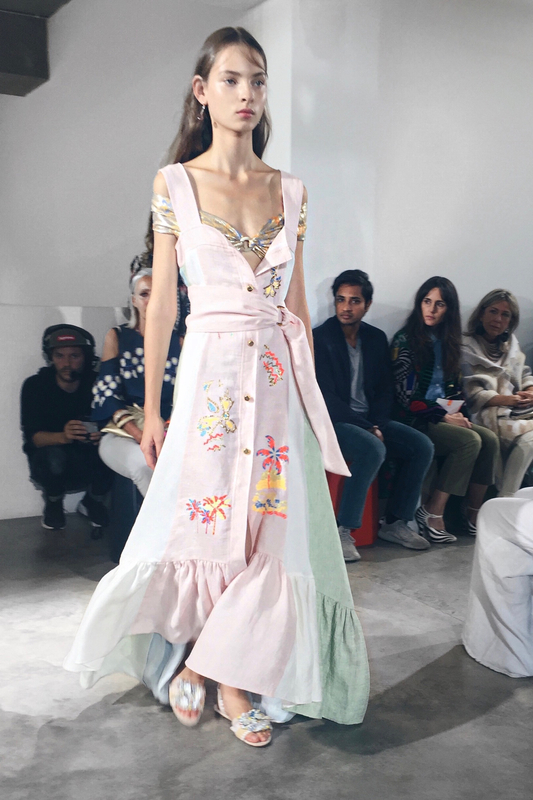 Normally, designers show more pieces on the runway then those which will end up in store. Therefore, from time to time you might fall for something which will never be available. That’s why Moda Operandi is such an amazing address for fashion addicts as me. 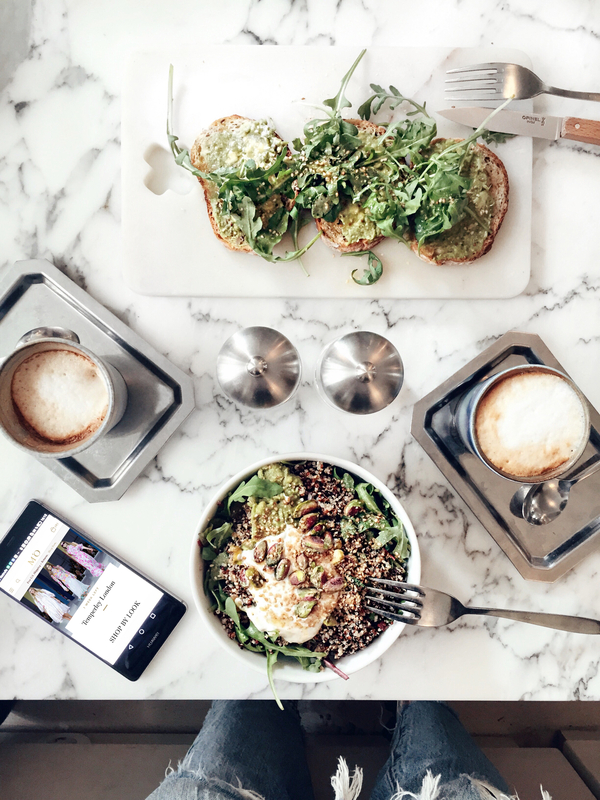 Moda Operandi organizes trunkshows where you can see all the runway pieces shortly after their runway debut and you can order everything before it will be in the stores and even those pieces which will never be in stores. You might end up getting a customized piece which is truly limited! 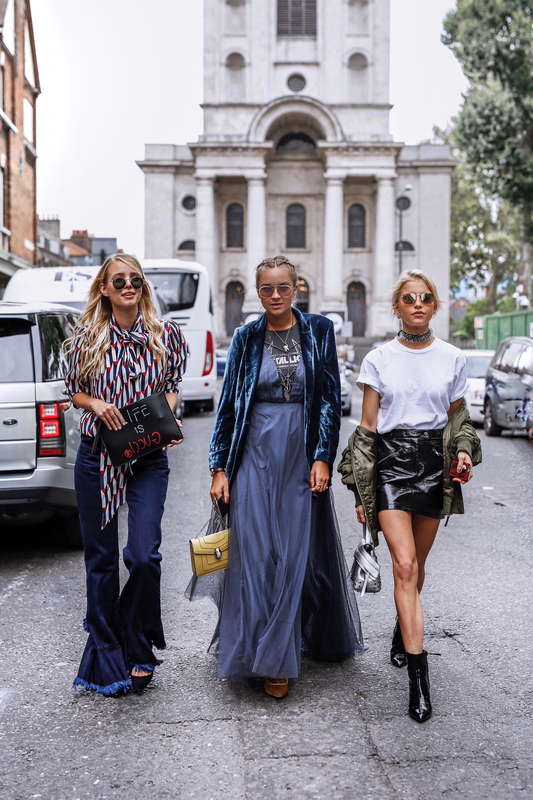 I attended the Temperely show two weeks ago during London fashion week and it was a true blessing, because I’ve always been a great admirer of the brand itself. Only a short time later the pieces from the runway are ready to order during the trunkshow at Moda Operandi and I’m super lucky to be able to order something really special, which will always remind me of my experience in London. Even though I love colors, my favorite item is probably a beautiful white dress: here. I got so obsessed when browsing through the trunkshows at Mode Operandi, I even put a little blush J.W. Anderson bag, some Alberta Ferretti slippers and a Caroline Constas top on my wishlist – Such an amazing website to find unique items that might never be available in store! I can‘t even tell you which show was my favorite but what I can say for sure is that Versus Versace was a true highlight! Before the show I had the opportunity to get to know the brand better and to choose an outfit for the show. I don’t have the greatest decision making skills and I ended up taking two outfits home with me: a dress and a combination of a skirt and a sweater. I couldn’t make up my mind until the last moment but ended up choosing the latter. Bella Hadid opened the show and it was simply amazing – the location, the mood, the collection (I am completely obsessed with the all-over khaki look!) and the models! When Anya Hindmarch‘s show started, I felt as if I was the only person in the room. 😉 The first model was walking on a specially stage and an illuminated lifting platform was moving up and down so that the runway was constantly changing. 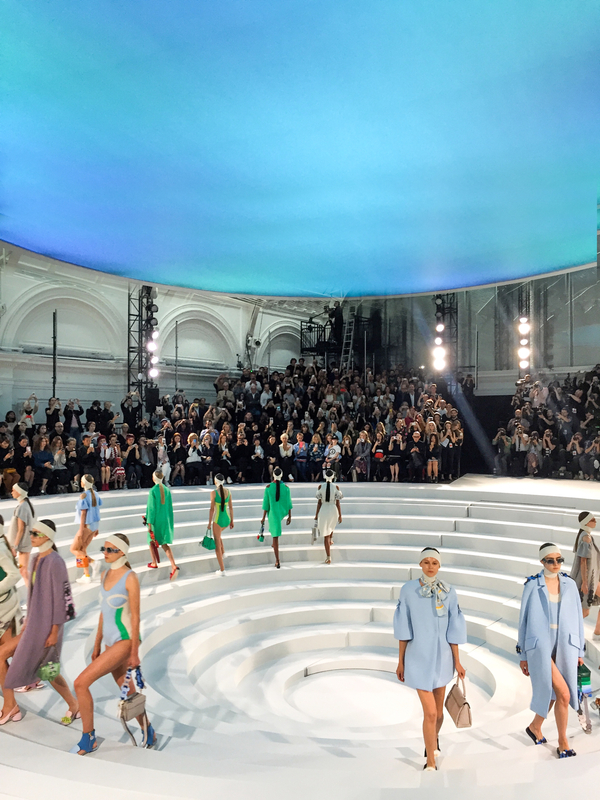 The show was laid out with so much care that I felt enchanted all the way through it. I loved the colorful coats with the affectionately placed stitches – such a beautiful show! 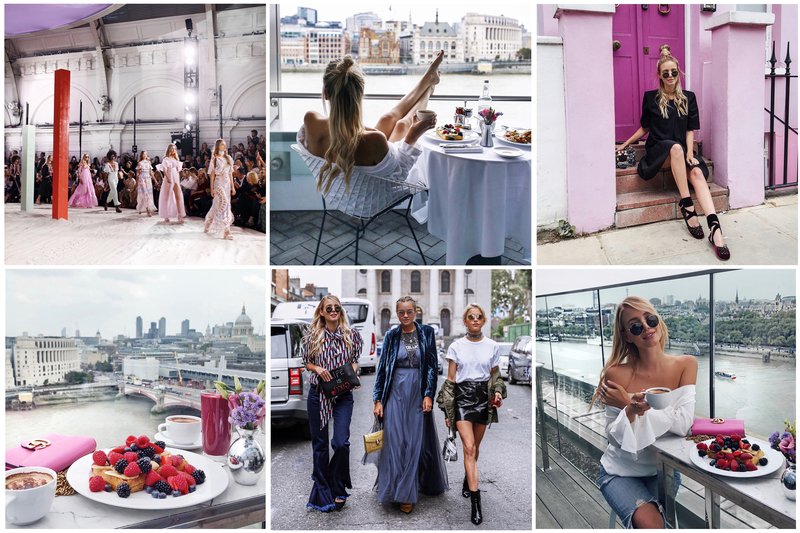 Charlotte Olympia was my sixth show on the third day of the London fashion week and I was glad that I collected all my strength one last time to actually go – it was the most entertaining show I have ever visited! :) It took place in the late evening and once I entered the building I was relocated into a high class night club. The show was inspired by the Copacabana and the beautiful shoes and bags (mostly inspired by fruit) were presented by dancers in various costumes (golden swim suits, enlarged fruits, etc.). The show ended with a golden rain of confetti and left me exhilarated! Oh my… London war unglaublich intensiv und aufregend! Schon alleine weil die Rückreise von NY nach London nur knapp sechs Stunden dauert und wir so nur eine kurze Nacht hatten, in der wir kaum Zeit hatten, all die Eindrucke aus New York zu verarbeiten. Nach einer kurzen Nacht ging es dank Zeitverschiebung in London gleich mit dem Programm los! Die ersten zwei Tage haben wir mit Seat und der Cosmopolitan verbracht (mehr dazu: hier). Anschließend begann dann ein Marathon aus Events, Fittings und Shows. Für zwei Tage hatte ich dank Marks & Spencers zum Glück einen Fahrer und ein Auto mit meinem Logo drauf (lieb, oder?) der uns rechtzeitig von A nach B gebracht hat. Der Verkehr in London war unglaublich und ich war unheimlich dankbar für den tollen Shuttle Service. Ein weiteres Highlight war das Mondrian London, in dem ich während der Fashion Week zu Gast war. Ich habe selten eine solche Gastfreundschaft erfahren und habe mich sobald ich mein Hotelzimmer betreten habe so richtig wohl und heimisch gefühlt. Da London so intensiv war, haben wir neben all den Events kaum das Zimmer verlassen und waren so froh, dass wir unser Frühstuck auch ins Zimmer bestellen könnten. Es war eine wirklich so schöne Zeit und ich möchte unbedingt wieder im Mondrian wohnen! Ich kann euch gar nicht sagen, welche Show mir besonders gefallen hat. Versus Versace war auf jeden Fall eins meiner Highlights! Vor der Show konnte ich die Marke besser kennen lernen und mir ein Outfit für die Show aussuchen. Ich bin nicht gut im Entscheidungen treffen und habe am Ende zwei Outfits mitgenommen:ein Kleid und eine Kombi aus Rock und Sweater. Erst kurz vor der Show habe ich mich für Letzteres entschieden. :) Die Show wurde von Bella Hadid eröffnet und es war alles großartig – Die Location, die Stimmung, die Kollektion (ich bin ganz besessen von dem Khaki farbenen Komplett-Look!) und die Models! Als die Show von Anya Hindmarch begann, dachte ich, sie sei nur für mich gemacht. ;) Das erste Model lief auf einer Spital geformten Fläche und eine beleuchtet Hebebühne fuhr auf und ab, sodass ein wundervoller Wechsel des Laufstegs entstand. Die Show war so liebevoll gestaltet und ich war durchgehend wie verzaubert. Besonders gut haben mir die farbenfrohen Mäntel mit liebevoll aufgenähten Details gefallen – Eine wunderschöne Show! Charlotte Olympia war meine sechste Show am dritten Tag der Londoner Fashion Week und ich war unheimlich froh, dass ich meine gesammelten Kräfte aufgebracht habe und die Show besucht habe – Es war die unterhaltsamste Show die ich je gesehen habe! :) Die Show war am späten Abend und schon beim Einlass fühlte ich mich an einen stilvollen Nachtclub erinnert. Die Show entführte an die Copacabana und die wunderschönen Schuhe und Taschen (meist von Früchten inspiriert) wurden von Tänzerinnen in verschiedensten Kostümen (goldener Badeanzug, übergroßes Obst, etc) präsentiert. Die Show endete mit einem goldenen Konfetti regen und meine Stimmung war anschließend auf dem Höhepunkt! WOW! Deine Bilder und Outfits sind einfach immer soo wahnsinnig schön! Wunderschöne Bilder und klasse Outfits!